Börek (also burek, boereg, piroq, and other variants on the name) is a type of baked or fried filled pastry, from Turkey, made of a thin flaky dough known as yufka (or phyllo). It can be filled with cheese, often feta, sirene or kaşar, minced meat, or vegetables. Left: Round burek (filled with ground meat). Börek is very popular in the countries composing the former Ottoman Empire such as the former countries of Yugoslavia, where it enjoys a tremendous pop-culture base, in addition to the rest of the Balkans. The pastry also enjoys considerable popularity in the Maghreb, namely Algeria and Tunisia, although it is known by different names there. 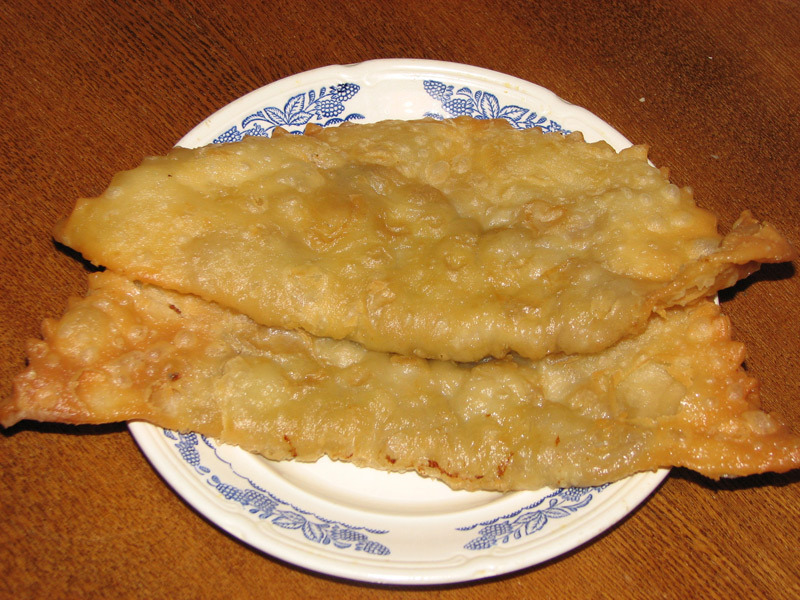 The Northern Slavic cuisines, historically living in close contact with the Turkic peoples of Asia and Europe, also feature derivatives of the Börek. The Tatar version, one of the national dishes of the Crimean Tatars, is called "Çibörek" and is made from unleavened dough filled with ground lamb, onions and spices, fried in oil. It is a common street food in Tatarstan and other former ex-USSR countries. "Cheburek" is the Russian pronunciation of the Crimean Tatar "Çibörek", which means "delicious burek" or "raw börek depending on the dialect. That variety is also wildly popular in Turkey where it is mostly called "çiğ börek"(also meaning raw börek in Turkish).